We are a year-round, one-stop shop for anything outside for your home, business or neighborhood. And Flamingo rentals for fundraisers, parties or just for fun! We also stock all the essential products you’ll need to keep your plants healthy and growing vigorously, such as fertilizer, weed barrier and more! If you’re looking for a special gift for someone, we have gift cards available as well! 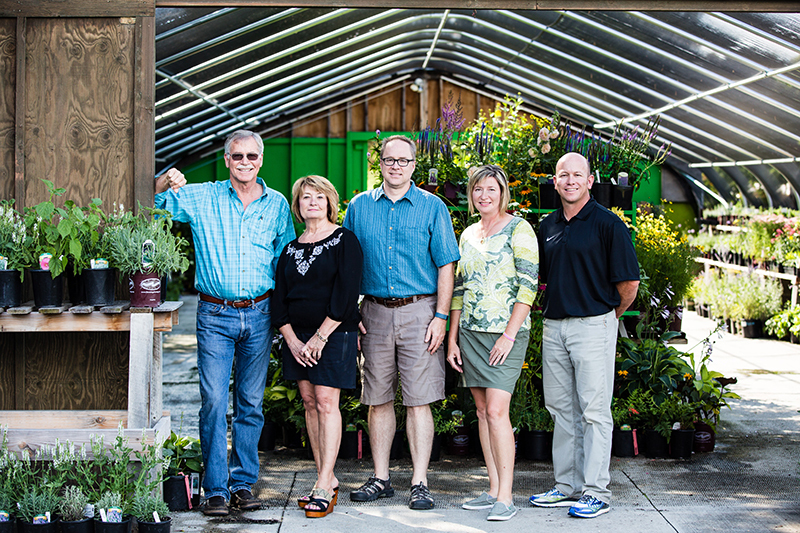 ‍For more information on inventory and availability stop by the nursery and talk to our knowledgeable sales staff! We strive to provide our customers with the highest quality of plant material on the market. We offer an educated staff to be your gardening resource and to help you have success with the products that you purchase from us. It is the customer’s responsibility to give the plants proper care. The customer is also responsible for calling us if the plant begins to look abnormal. Most of the time we can help fix the problem over the phone. Any plant that we install is guaranteed for one year from the date of purchase if the buyer has provided a reasonable standard of maintenance and purchased the plant(s) at full price. Discounted plant material is not guaranteed whether installed by the nursery or the purchaser. Items planted by the purchaser will be guaranteed for 30 days from the date of purchase. Plants eligible for replacement should be returned to the nursery so that the cause of the problem may be determined. Plants will be replaced ONE time, whether installed by the nursery or the purchaser. The replacement will be in the form of a credit equal to the plant value, or a plant of equal value. Please call with all your concerns. We will always offer our best advice. Be sure to call as soon as you see something unusual. This guarantee does not cover annuals, perennials or Bargain Alley items. Shallow rooted succulent are perfect for a living centerpiece for your table! Join us as we show you some simple and effective ways to design and make a long lasting living succulent bowl! We provide all the materials, you provide the creativity! Bonsai is back! Join us for this popular class where we show you how to create your very own bonsai! We will provide you with all the materials you'll need to start your own bonsai and teach you how to care for it. Join us for a magical class where we show you how to put together a fairy garden from start to finish! Just bring a friend and your imagination!